Great band. They had the melodies, arrangements and vocals with a wonderful performance. Should have lasted longer. This 7″ has some compelling music. I’ll be the first to admit I’m not an authority on 70’s British melodic rock. I also concede that I never thought British AOR of the late 70’s could ever match what was happening in the US, but Trickster are an exception to that rule, such is the sophistication of ‘Back To Zero’. Trickster were formed in 1976 by Bates, who had previously played with the likes of Duane Eddy. Don Arden latched onto the band, becoming their manager and signing them to the Jet label. Their debut ‘Find The Lady’ appeared in 1978, which saw them tour with labelmates ELO. The superior follow up a year later is an exemplary AOR statement which easily shades the likes of Charlie or ELO themsleves. The lineup had been shuffled, with Groth and Fincham new additions to the band, bassist Mike Sheppard having left. 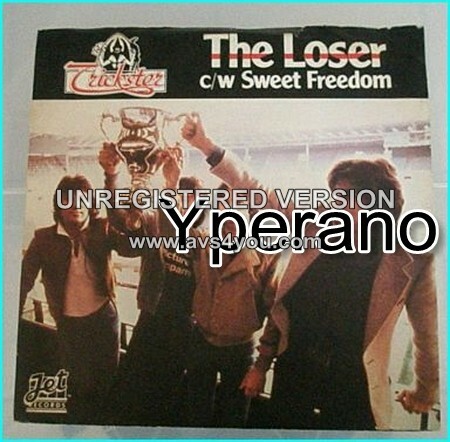 SKU: YP-8844 Categories: All Genres, AOR, Pop, Rock, Search by Media Type, 7"